UFOWATCHDOG.COM has obtained a copy of a 40-page report of the analysis of evidence from an alleged Brazilian UFO abduction case (click here to read the first coverage of this story). The report and analysis was completed by Phyllis A. Budinger, a veteran 35-year analytical scientist and founder of Frontier Analysis, Ltd., and Nicholas Reiter, a scientific research technologist and co-founder of the Avalon Foundation. The report will soon be posted online for review. Budinger's portion of the report concentrates on the analytical aspects of bedding materials and a stone that allegedly fell from the sky that were provided to her by Linda Howe for analysis. Control samples were also provided by Howe to Budinger. Rieter's portion of the report focuses on the findings of the stones that were alleged to have fallen out of the sky. LEFT: Sample of blue bedding (left) and piece of mattress (right) from Oliveira's bed provided for analysis. As many may now know, Linda Moulton Howe has posted a report on her Earthfiles.com website where she cites an expert in the textile industry. Howe also gave her version of an analysis on the Coast To Coast AM radio program. However, the report on Howe's website is refuted by Budinger. You can read Budinger's comments here. A previous claim still being reported by Howe about the damage to the bedding was that an unknown type of energy had interacted with the cloth at a molecular level and that the energy had melted only certain portions of the threads, while leaving other thread portions untouched. The bed sheets consisted of woven polyester and cotton threads. 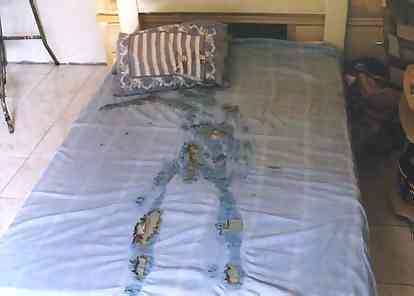 ABOVE: The bed Oliveira alleges he was 'transported' from onto an alien ship. 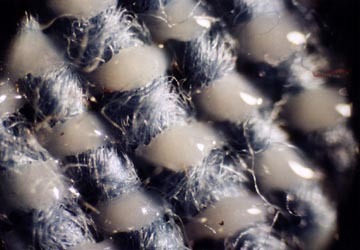 Biophysicist William C. Levengood and Linda Howe claimed that since polyester has a melting temperature of 500 degrees Fahrenheit and cotton has a scorching temperature of 300 degrees Fahrenheit, then it would be impossible for the cotton to remain undamaged while the polyester threads had been melted since cotton has a lower Fahrenheit scorching point than polyester. 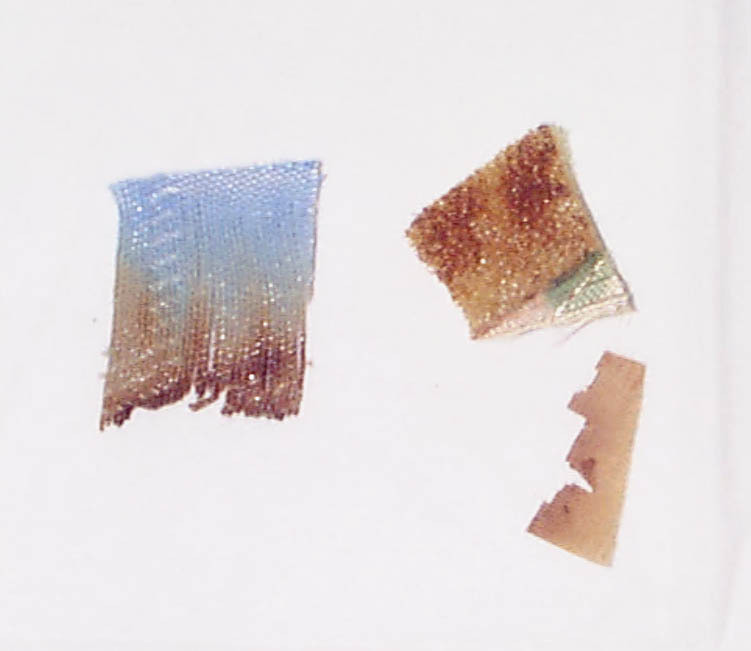 Below are two photos taken by Levengood through a microscope of the bedding material burnt during the alleged UFO abduction of Oliveira. Levengood's initial remarks concerning the materials and the unusual burning of the thread components indicated that the process of melting the polyester while the cotton remained undamaged was impossible. Levengood was asked by Howe, "Could Oliveira have used a candle, a match, a laser, a blow torch, something like that to heat this pattern on that sheet?" Levengood responded stating, "No, absolutely not." The report obtained by UFOWATCHDOG.COM states that Budinger conducted an infrared analysis of the material and confirmed that the material threads comprising the bed sheet were indeed cotton and polyester. Further analysis revealed nothing unusual about the bedding. 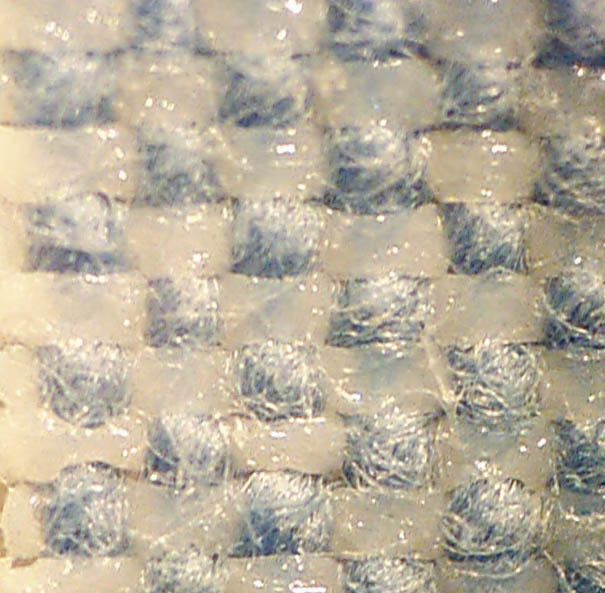 It is important to remember that the claim is being made that there is no way possible for the polyester to have melted before the cotton since cotton has a lower scorching/degrading point than polyester. Judging from the report compiled by Budinger and Reiter, this melting of polyester threads while cotton threads are unaltered can indeed be replicated. 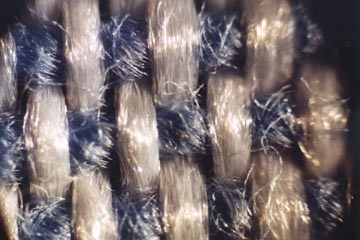 ABOVE: Just one example of many from Budinger's report clearly showing the polyester threads melted while the cotton remained unaltered. This effect was achieved by Budinger utilizing tin foil and a clothes iron. It should be noted that this control sample was provided by Howe to Budinger from the bedsheet of Oliveira. Now the claim being made by Howe is that this replication has no merit since it does not look exactly like the melting on the bedsheet of Oliveira. Yet, Howe's reports claims that the effect was impossible to replicate without burning the cotton. So, if cotton burns at a lower temperature than polyester, why is the cotton not damaged? Budinger stated in her report, "This can be explained by the differences in rates of heat conduction (Thermal Conductivity) of these materials. [Polyester]...conducts heat about ten times faster than cotton ... Therefore, a fast burst of heat (above the melting point of [polyester]) would melt the [polyester] but not degrade the cotton. This was experimentally accomplished with an iron on the control sheet swath by this laboratory." Another claim being made by Oliveira is that stones fell from the sky signifying that he had been transported aboard a UFO. Howe provided Budinger and Reiter with a sample for analysis. Reiter conducted EDS testing on the stone and compared that with the EDS results of what is commonly known as a 'moqui marble', which are rocks commonly found in New Age shops. Reiter's findings were that the sample provided by Howe and the 'moqui' used for comparison were virtually identical and that there was nothing unusual about the stone. UFOWATCHDOG.COM contacted Reiter about his findings concerning the stone and replication of the melting fibers. UFOW: How did you become involved in doing this analysis? UFOW: Can you highlight some findings of your analysis? REITER: The primary highlight was the analysis by EDS of the claimed mystery stone said to have fallen from the sky under strange circumstances. The EDS spectra from this stone was quite clear, and showed the constituents of a common iron silicate concretion. UFOW: What about the rocks that are being claimed as being significant to this case? REITER: The stone from the case both physically resembled and was compositionally a match to spherical iron silicate concretions known to rock collectors as "boji stones" or Moqui marbles" These unique looking but easily obtained rocks are found typically in regions of iron rich sandstone strata. 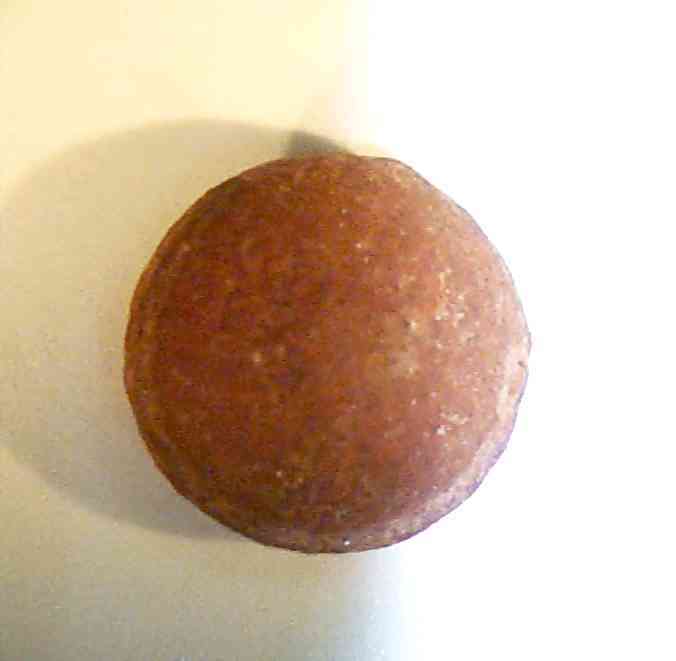 A control stone from the immediate region in Brazil provided by the primary researcher actually WAS a small chip of pink iron rich sandstone. UFOW: Would you talk about replicating the effects on the bedsheets and why someone might claim they could not be replicated? REITER: In order to be truly unique, the effects on the bedsheets would have to be either physically or chemically anomalous or distinct from any possible attempts to replicate using conventional means. A claim of non-reproducibility would likely mean that the primary researcher did not exhaust creative means. Without details of how the primary researcher performed their test, little can be said. To my analysis, admittedly quick, a simple heated soldering iron did nicely. Presumably a hot piece of metal or flat-iron would work very well also. UFOW: In your professional opinion, what is the bottom line is this case based on what you have examined? REITER: In my own professional opinion, neither the stone or the cloth samples represented any anomaly whatsoever. If indeed, the stones in question are falling from the sky, then this would require documentation of a totally different sort! But without adequate evidence on that account, nothing otherwise that was brought to my attention seems to be unusual. My personal opinion is that a hoax or disinformation is likely.